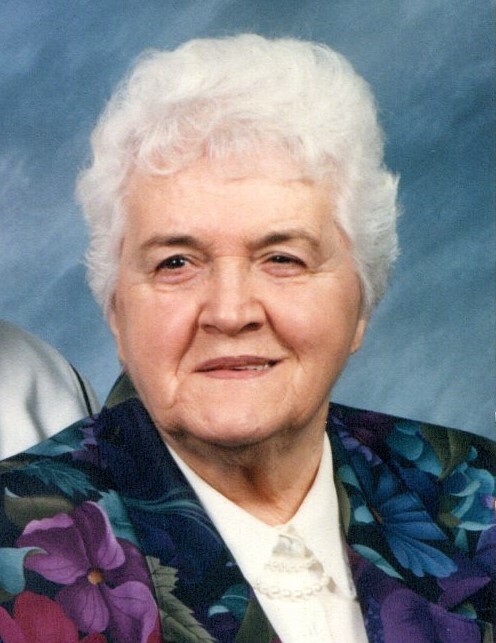 Joyce M. "Sue" Hoyt, age 92, of 965 Broadway Road, Shickshinny, died at 8:23 a. m. Saturday, January 19, 2019 at the Bonham Nursing Center, Register, where she resided since December, 2016. Born in West Nanticoke on Sept. 20, 1926, she was a daughter of the late John W. and Catherine (Price) Metcalf. She was a 1944 graduate of the former Huntington Mills High School and resided in Broadway since 1947. Sue assisted her husband with the family business, Hoyt's Fuel Service, by managing the office. She was a member of the Calvary Bible Chapel, Hunlock Creek. Sue was an excellent homemaker and mother. She especially enjoyed cooking and baking. She also enjoyed gardening and taking care of her flower beds. She was preceded in death by her husband of 61 years, Caleb E. "Kep" Hoyt, on May 3, 2006; by a son, Carl Dean Hoyt on November 4, 2002; by two sisters: Jacqueline Stocksdale and Vivian Everett; and by five brothers: Darte Metcalf, John W. Metcalf, Glen Metcalf, Richard Metcalf, and Neil Metcalf. Sue is survived by four children: Jackie Lee, wife of Lloyd Shaw, Springville; Pamela K. Major, Nokomis, Fla.; Peggy Louise, wife of Harry Fink, Broadway; Kris L. Hoyt, and his wife Tammy, Broadway; 11 grandchildren; nine great-grandchildren; three sisters: Fern Stevens, Shickshinny, Madeline Bilby, Shickshinny, Margaret "Peggy" Cragle, Sweet Valley; and a number of nieces and nephews. Funeral services will be held on Friday at 12 noon in the Calvary Bible Chapel, 362 Hunlock-Harveyville Road, Hunlock Creek, with her pastor, Neil Martin and Pastor Paul Mosely of the Benton Bible Church officiating. Interment in Bloomingdale Cemetery. Viewing at the Church on Friday from 10 a. m. to 12 noon. In lieu of flowers, memorials may be sent to the Child Evangelism of Luzerne County, P. O. Box 1433, Wilkes-Barre, PA 18703. Arrangements have been entrusted to the care of the Dean W. Kriner, Inc., Funeral Home, Benton.